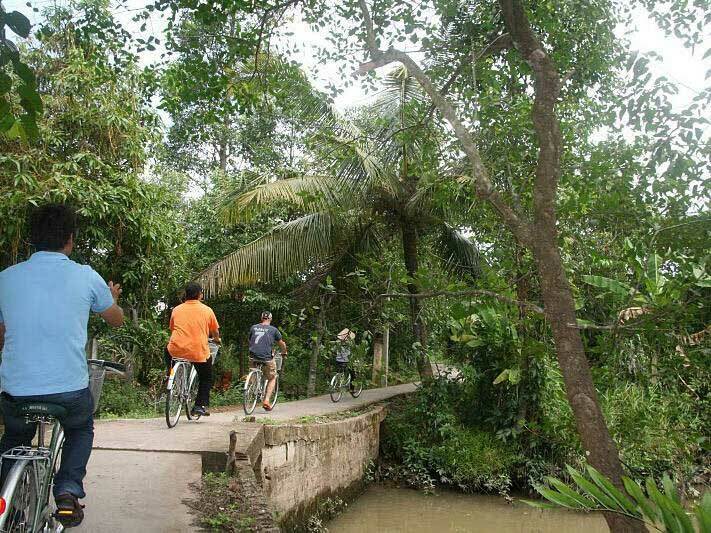 On this tour you have more time to discover the sights of the Mekong Delta and enjoy the life on the river. 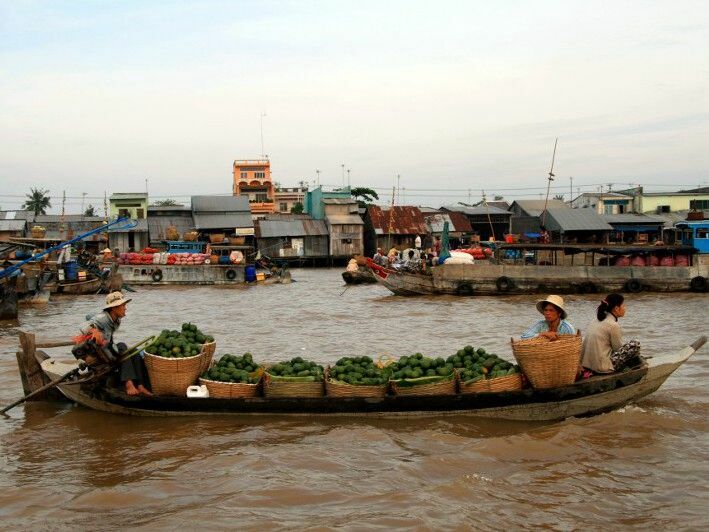 You visit the famous floating market of Cai Rang . On several land excursions you have the chance to experience local handicraft production, colorful brick kilns, opulent orchards and peaceful villages. 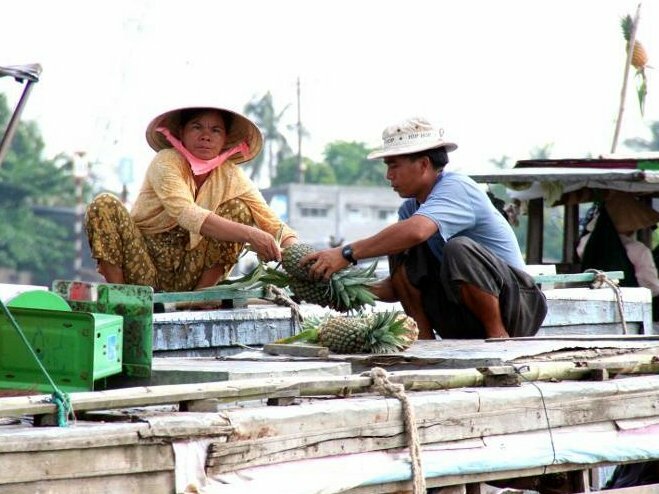 Take an excursion with a small rowing Sampan or a short bike trip to explore the small side canals of the mighty Mekong river. 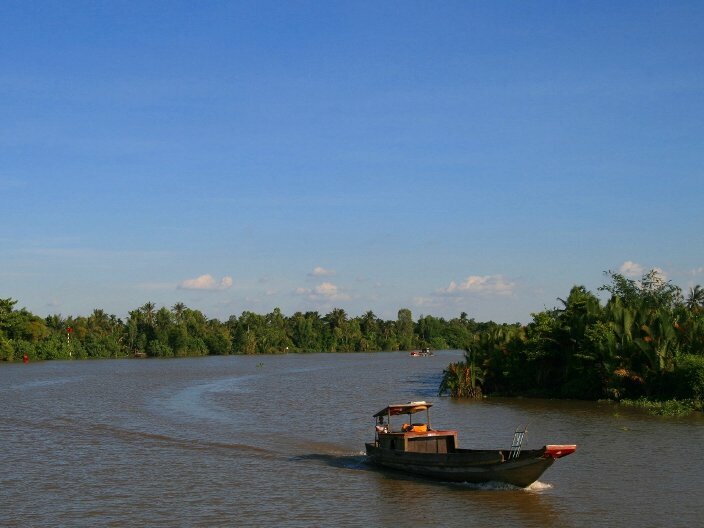 This Mekong Delta river cruise is available with the wooden cruise vessels Mekong Eyes (14 cabins). 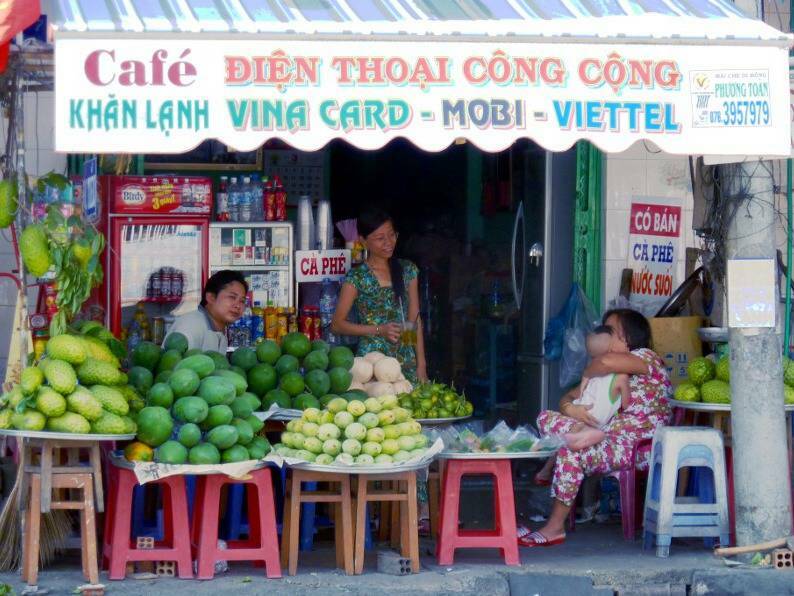 Our 3-day tours leave from Can Tho to Cai Be and back (on odd dates, e. g. Sept 1, 3, 5, 7 etc.) or from Cai Be to Can Tho and back (on even dates, e. g. Sept. 2, 4, 6, 8 etc.). If you are staying in Saigon, we will pick you up at your hotel (district 1 and parts of district 3) and take you back there after the end of the Mekong Delta cruise tour. The drive to / from Cai Be takes about 2 hours, to / from Can Tho approx. 4 hours. Daily departures. There are no set departures for the Gecko Eyes. After breakfast, we will board a sampan boat to Cai Rang floating market, the region’s busiest and most lively market. Marvel at the sheer abundance of exotic fruits and vegetables. We will pull up to the boats for talking and bargaining with the merchants. We will also visit some of the local candy and cake making factories or boat through the green water landscape to see local houses, verdant orchards and ship-building yards. Please note that the above programme is for tour starts on even dates; if your tour starts on an odd date the programmes of day 2 and day 3 are exchanged.